Senator Dino Melaye and the Comptroller General (CG) of Nigeria Customs Service (NCS), Hameed Ali, on Monday disagreed over protocol-related matters. An exchange occurred during the visit of the Senate Ad Hoc Committee on Waste in the Nigeria Customs Service to the Customs Headquarters, Abuja. Chairman of the Committee, Melaye said that the Customs CG was expected to have received the committee members into the premises and not just meeting them at the conference room. He said the protocol had been the practice with statutory bodies like Customs, Immigration, Prisons, etc, over the years and wondered why such etiquette was not accorded the committee. “Before reading the prepared speech of the committee, let me make this small remark on what we have just observed here in form of breach of protocols. 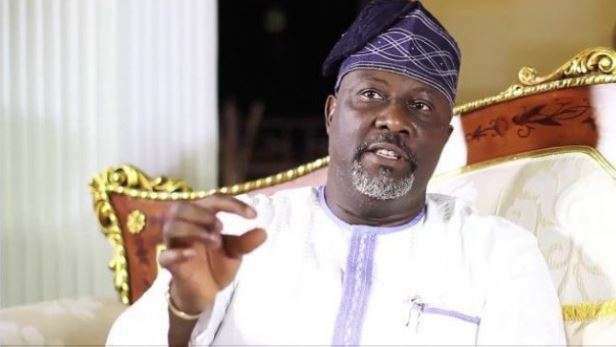 “Mr CG, rather than meeting us here at the conference room by way of courtesy, you are supposed to have met us at the ground floor on arrival into the premises,” NAN quoted Melaye as saying. Reacting, Ali told the committee that the NCS had its own protocols different from other public establishments and should not be dictated to on matters of etiquette or protocol. “We have our own protocol as regards receiving visitors like you. I don’t need to come downstairs to receive you just as nobody in the Senate or House of Representatives has ever come out to receive us anytime we visit the National Assembly. “Let me state clearly that in the Nigeria Customs Service we are servants of the people. We believe in Nigeria and working with others to make it great without being railroaded in anyway,” Ali said.